Hotel Century Southern Tower occupies the 19th to 35th floors of the Odakyu Southern Tower building, with offices restaurants and other facilities located on the lower levels. Hotel reception and lobby is located on the 20th floor. 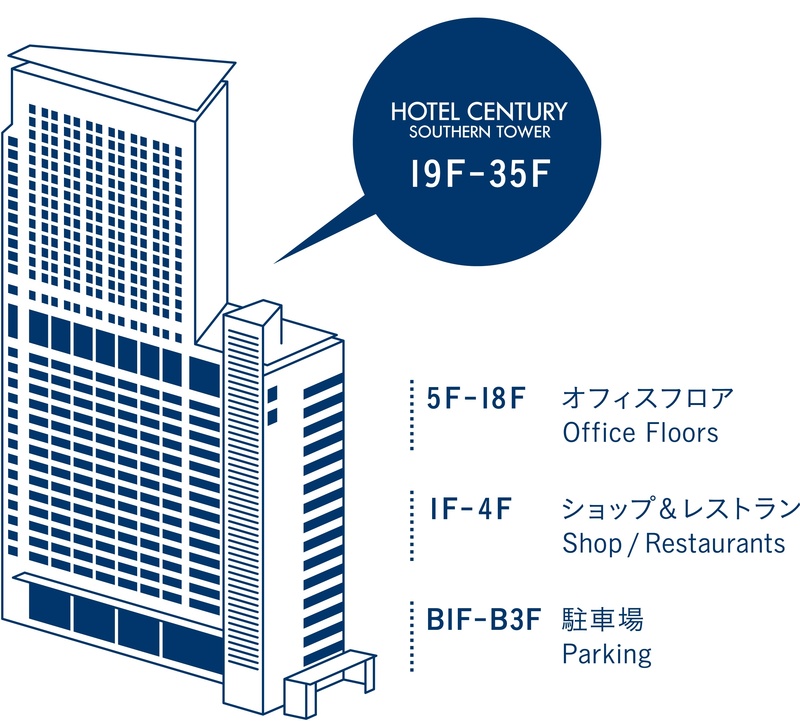 Each of our hotel’s 375 guest rooms located on the 22nd to 35th floors, all boasting command views of the Tokyo city scape.